Every Melbourne tutor must meet our high standards for past Academic results, provide proof of VCE documentation, pass our rigorous application process, and carry a valid working with children check. We ensure that our Melbourne private tutors are truly extraordinary and can teach students from primary school through to VCE . We guarantee we’ll help you find the right tutor, or we’ll cover your first lesson. Top tutors from University of Melbourne, Monash and other respected universities serving the Melbourne area. For any questions feel free to contact us at anytime. Hey I'm Hans! I tutor Biology (40) and I'm currently a 3rd Year Bachelor of Science student, Majoring in Biology at Monash University. I have had over 3 years of tutoring experience and really enjoy seeing my students succeed and will go above and beyond to make it happen! Hey I'm Jaymond! I tutor Methods (42), Specialist Maths (46) and Physics (44) and received an ATAR of 99.35 ATAR. I am currently a 2nd Year studying a Bachelor of Science at Melbourne University. I enjoy seeing my students succeed and will go above and beyond to make it happen! Hey I'm Harini! I tutor English (46) and I'm currently in my 2nd year studying a Bachelor of Arts/Law at Monash University. If you're nearby I'd be happy to drive to you, a local library or even tutor anywhere on campus at Monash University, Clayton! Hey I'm Hasara! I tutor English & Biology and I'm currently in my 3rd year studying a Bachelor Science and Commerce at Monash University. I have had a year of experience studying education and so can make sure you get the best out of tutoring. I'd be excited to help you out! Hey I'm Clarissa! I can tutor up to VCE Physics (40), year 11 Maths Methods and Legal studies. I am currently in my 3rd year studying a Bachelor of Science Advanced - Global Challenges (Honours). I have a couple years of experience in tutoring and look forward to helping you out! Hey I'm Michael! I can tutor Biology (50) and Chemistry (42). I graduated VCE in 2015 with an ATAR 98.90 and I am currently in my 2nd year studying a Bachelor of Biomedicine at Monash University, part of the Scholars program. I look forward to helping you achieve your academic goals! Hey I'm Dawood and I tutor Methods (46) and Specialist (41). I graduated VCE with an ATAR of 95.5 and I am currently in my 3rd year studying at Bachelor of Biomedicine at Monash University. I look forward to helping you smash your goals! Let's Grow Together! Hey I'm Timothy! I tutor English (43) and I am currently in my 2nd Year studying at Bachelor of Secondary Education (Honours) and Arts Monash University. I have tutored over 25 students in the past 2 years and absolutely love it. I look forward to helping you reach your fullest potential! Hey I'm Muhtasim and I tutor Chemistry (42) and Biology (42). I graduated VCE with an ATAR of 97.7 and I am currently in my 1st Year studying a Bachelor of Biomedical Science and Commerce at Monash University. I look forward to mentoring and tutoring you to academic success! Premium Tutor - $60/hour Hey I'm William and I tutor Methods and Chemistry. I am currently in my final year studying a Bachelor of Commerce at Monash University. I have had over 3 years worth of tutoring experience and have been a part of LGT since the beginning! Hey I'm Jemma and I tutor English (44), History Revolutions (42) and Viscom (39). I graduated VCE with an ATAR of 92.20 and I received the Vice Chancellors scholarship studying Design (honours) at Swinburne. I enjoy seeing my students succeed and will go above and beyond to make it happen! Hey I'm Lillian and I tutor English (45). I graduated VCE with an ATAR of 95.50 and I am currently in my 1st year studying a Bachelor of Law at Monash University. I enjoy seeing my students succeed and will go above and beyond to make it happen! Hey I'm Nathan and I tutor English, Biology, Chemistry and Mathematics. I graduated VCE with an ATAR of 96.0 in Queensland. I am currently in my 1st year studying a Bachelor of Science at Melbourne University. I love teaching and helping others grow! Hey I'm Liam and I tutor Maths Methods (43) and Further Maths (46). I graduated VCE with an ATAR of 98.70 and I am currently in my 2nd year studying a Bachelor of Commerce. I enjoy seeing my students succeed and will go above and beyond to make it happen! Hey I'm Elinor and I tutor English (41), Legal (45) and Accounting (37). I graduated VCE with an ATAR of 93.15 and I am currently in my 1st year studying a Bachelor of Commerce at Melbourne University. I look forward to helping you achieve your goals! Hey I'm Nileshni and I tutor English (41), Biology (43) & Health and Human Development (46). I am currently in my 1st year studying a Bachelor of Biomedical Science at Monash University. I look forward to helping you smash your goals! Hey I'm Matthew and I tutor English (44) and Geography (42). I graduated VCE with an ATAR of 93.15 and I am currently in my 2nd year studying a Bachelor of Law/International Relations at La Trobe University. I love teaching and helping others grow! Hey I'm James and I tutor English, Literature (43) and History Revolutions (43). I graduated VCE with an ATAR of 96.65 and I am a 1st year studying a Bachelor of Commerce at Melbourne University. The smile on my students' faces when they understand something or learn something new is priceless! Hey I’m Anna and I tutor Biology (43), Literature and Chemistry. Chemistry would definitely be my favourite subject! I am currently in my 1st year studying a Bachelor of Science at the University of Melbourne. I really enjoy helping others and I look forward to working with you! Hey I’m Gillian and I tutor Chemistry (41), Physics (41) and Biology (42). I graduated VCE with an ATAR of 96.95 and I am currently studying a Bachelor of Science/Biomedical Science Double Degree at Monash University. I look forward to helping you achieve your academic goals! Hey I'm Raiz and I tutor Maths Methods (44). I graduated VCE with an ATAR of 96.20. I am currently on a gap year and plan to return to University next year and study a Bachelor of Science (Majoring in Engineering) at Melbourne University. I really enjoy helping others and I look forward to working with you! Hey I'm Emma and I tutor Biology (43). I graduated VCE with an ATAR of 97.15 and I am currently studying a Bachelor of Biomedicine at Melbourne University. I really enjoy helping others and I look forward to working with you! Hey I'm Sam and I tutor Maths Methods, Specialist Maths, Physical education and Chemistry. I graduated VCE with an ATAR of 96.40 and I am currently studying a Bachelor of Science at Melbourne University. I love teaching and helping others to grow! Hey I'm Emma, I completed IB with an ATAR of 96.0. I tutor English, History (year 11), French and Music. I am currently studying a Bachelor of Music at the University of Melbourne. I really enjoy helping others and I look forward to working with you! Hey I'm Julia and I tutor Legal (45) and English (34). I graduated VCE with an ATAR of 86.3 and I am currently in my 1st year studying a Bachelor of Laws/International Relations at La Trobe University. I love teaching and helping others grow! Hey I'm Gustavo and I tutor English (41). I graduated VCE with an ATAR of 92.70 and I am currently in my 2nd year studying a Bachelor Of Arts, Melbourne University. I look forward to helping you smash your goals! Hey I'm Daniel and I tutor Methods (44), Specialist Maths (42), Chemistry (47) and Physics (49). I am currently in my 1st year studying a Bachelor of Science (Hounours) / Master of Nanotechnology at La Trobe University. I love teaching and helping others grow! Hey I'm Callan and I tutor Methods (41), Chemistry (43), Physics (44) and Specialist maths (41). I graduated VCE with an ATAR of 99.05 and I am currently in my 1st year studying a Bachelor of Biomedicine at Melbourne University. I look forward to helping you smash your goals! Hey I'm Genevieve and I tutor English (40), History-Revolutions (44), Psychology (40) and German (34). I graduated VCE with an ATAR of 94.3. I Completed Bachelor of Arts from Melbourne University and Going for a Master in Teaching. I love teaching and helping others grow! Hey I'm Bridget and I tutor Geography (43), Health (43) and English (42). I graduated VCE with an ATAR of 96.00 and I am currently in my 1st Year studying a Bachelor of Arts at Melbourne University. I love teaching and helping others grow! Hey I'm Ashley and I tutor English (raw 43) and Literature (raw 45). I graduated VCE with an ATAR of 95.45 and I am currently in my 1st Year studying a Bachelor of Arts/Science at Monash University. I really enjoy helping others and I look forward to working with you! Hey I'm Mohammed and I tutor Maths Methods (39), Physics (37), English (43) and Literature (42). I graduated VCE with an ATAR of 97.75 and I am currently in my 2nd Year studying a Bachelor of Engineering (Honours) / Bachelor of Commerce at Monash University. I look forward to helping you achieve your academic goals! Hey I'm Jake and I tutor English (40) and Literature (41). I graduated VCE with an ATAR of 90.70 and I am currently in my 1st Year studying a Bachelor of Arts at the University of Melbourne. I look forward to helping you achieve your academic goals! Hey, I'm Bridget and I tutor English (43), Psychology ( 41) and Literature (40). I graduated VCE with an ATAR of 94.9 and I am currently studying Arts Degree (Majoring in Psychology and Literature) at Monash University. I love teaching and helping others grow! Hey I'm Kevin and I tutor Maths Methods (41), Specialist Maths (40), Physics (40), EAL (40) and Chemistry (39). I graduated VCE with an ATAR of 98.90 and I am currently in my 1st Year studying a Science Advanced-Research at Monash University. I look forward to helping you achieve your academic goals! Hey I'm Nathan and I tutor English (41). I graduated VCE with an ATAR of 90.80 and I am currently in my 1st Year studying a Bachelor of Arts at University of Melbourne. I love teaching and helping others grow! Hey I'm Rachael and I tutor Chemistry (42) and Mathematical Methods (42). I graduated VCE with an ATAR of 98.05 and I am currently in my 2nd Year studying a Bachelor of Engineering (Honours)/Biomedical Science at Monash University. I look forward to helping you smash your goals! Hey I'm Daniel and I tutor Physics (40), Maths Methods (41), Â Further 1/2, Year 10 maths & science. I graduated VCE with an ATAR of 93.05 and I am currently in my 1st Year studying a Bachelor of Science at the University of Melbourne. I look forward to helping you achieve your academic goals! Hey I'm David and I tutor Specialist Maths (39), Mathematical Methods (42) and Further Maths (did not study, have tutored). I graduated VCE with an ATAR of 95.45 and I am currently in my 3rd Year studying a Bachelor of Environments at the University of Melbourne. I enjoy seeing my students succeed and will go above and beyond to make it happen! Hey I'm James and I tutor Accounting (46), 1/2 English, Year 9 Maths and Economics (41). I graduated VCE with an ATAR of 95.90 and I am currently in my 1st year studying a Bachelor of Commerce at Melbourne University. I am motivated to help students achieve amazing results! Hey I'm Kevin and I tutor Further Mathematics (41). I graduated VCE with an ATAR of 94.95 and I am currently in my 1st year studying a Bachelor of IT/Commerce at Monash University, Clayton. Thanks for reading my bio, I look forward to helping you! Hey I'm Hannah and I tutor Biology (46), English (43), Health and Human Development (43). I graduated VCE with an ATAR of 97.65 and I am currently in my 1st year studying a Bachelor of Science and Bachelor of Arts at Monash University, Clayton. I enjoy seeing my students succeed and will go above and beyond to make it happen! Hey I'm Dori! I completed my year 12 in Adelaide and received an ATAR of 99.10. My highest scoring subjects were the SA equivalent to Maths Methods and Specialist maths. I am currently in my 1st Year studying a Bachelor of Science at Melbourne University. I do my best to make my lessons as enjoyable and effective as possible! Hey I'm Rebecca and I tutor History Revolutions (39), Literature (39), French (37) and Further Maths (41). I graduated VCE with an ATAR of 95.45 and I am currently in my 1st year studying a Bachelor of Arts at Melbourne University. I enjoy seeing my students succeed and will go above and beyond to make it happen! Hey I'm Steven and I tutor Maths Methods (46), Specialist Maths (40), Chemistry (40) and Physics (41). I graduated VCE with an ATAR of 98.95 and I am currently in my 1st year studying a Bachelor of Engineering (Honours) at Monash University. I am motivated to help students achieve amazing results! Hey I'm Alex! I graduated VCE with an ATAR of 93.25 and I'm offering tutoring for Year 10 Maths & Science and younger years. I am currently in my 1st Year studying a Bachelor of Commerce at Monash University. Thanks for reading my bio, I look forward to helping you! Hey I'm Amanda! I completed my year 12 studies in Perth and received an ATAR of 97.7. I offer tutoring for English (year 11), French and Chemistry. I am currently in my 1st Year studying a Bachelor of Design (Architecture) at Melbourne University. I look forward to helping you achieve your academic goals! Hey I’m Gabriella and I tutor English (86). I graduated HSC with an ATAR of 94.45, and I am currently a postgraduate student in the Arts faculty of the University of Melbourne. I am passionate about fiction and media. I look forward to passing down my knowledge to you! Hey I'm Patricia and I tutor Maths Methods, Specialist Maths and Chemistry. I completed my year 12 in WA and received a perfect ATAR of 99.95. I’m a second year Engineering and Commerce student at Monash University. Looking forward to working with you! Hey I’m Jiamin and I tutor Math Methods (41) and Specialist Math (43). I am currently in my 2nd year studying a Bachelor of Science at University of Melbourne. I really enjoy helping others and look forward to passing down my knowledge to you! Hi there, I'm Hubert and I tutor Global Politics (44), Literature (41) and Physics (40). I finished VCE with an ATAR of 97.75, and currently I'm commencing my second year in a Bachelor of Engineering (Honours) and Science double degree course at Monash University. I look forward to helping you succeed in your studies as well. Hey I'm Zahraa and I tutor English (42), Mathematical Methods (38) and Chemistry (35). I graduated VCE with an ATAR of 96.50 and I am in my 2nd year studying a Bachelor of Biomedicine at the University of Melbourne. I really enjoy supporting students and look forward to working with you! Hey I’m Nathan and I tutor Maths Methods, Further Maths and Physics. I am currently in my 5th year studying a Bachelor of Engineering (Electrical) and a Bachelor of Science at Monash University. I look forward to helping you achieve your goals! Hey! I’m Wen-Lei (or call me Rachel!) Currently I am a second year Bachelor of Arts student at Melbourne Uni. The subjects that I am tutoring are Accounting(raw46) and Japanese (raw44). I graduated VCE with an ATAR of 99.4. Can’t wait to meet you! Hey my name is Bryce and I tutor Mathematical Methods (36), Biology (43), Chemistry (36) and Specialist Mathematics (33). I am in my 2nd year studying a Bachelor of Science at the University of Melbourne, majoring in genetics. I have had previous experience tutoring both privately and being hired by Thomas Carr College. Hey, I’m Eliza. I tutor Psychology (47) and Biology (42). I am currently in my first year of the Masters of Clinical Neuropsychology at the University of Melbourne. I really enjoy sharing my knowledge with others, and look forward to meeting you. Hey I'm Felix and I tutor Methods(48), English(45) and Physics(45). I am currently a year 12 graduate from Melbourne High School. I have always loved helping and interacting with fellow VCE students, and look forward to teaching you! Hey I'm Min and I tutor Mathematical Methods (44). I graduated from Melbourne High School in 2016 with an ATAR of 96.95 and I am currently studying Bachelor of Biomedicine at The University of Melbourne. I look forward to passing on my tips and knowledge to you! Hello! I'm Violet, and I'm a tutor for VCE Health and Human Development(46), Biology (43), and Psychology(43) I also teach Science and Mathematics for years 7-10. I study Biomedicine at the University of Melbourne, majoring in microbiology and immunology. I look forward to helping you understand content and assist you with achieving your school goals! Hey I'm Lauren and I tutor Biology (38), Chemistry (36) and Mathematics (35). I am currently in my 3rd Year studying a Bachelor of Science at the University of Melbourne. I enjoy helping and teaching others and hopefully will be able to help you too. Hey I’m Lael and I tutor Chemistry (38), Biology (38) and Psychology (45). I graduated from McKinnon Secondary College in 2015 and am currently in my 2nd year of a Bachelor of Science at the University of Melbourne. I am looking forward to tutoring you and helping you achieve the scores you want. Hey I'm David and I tutor History Revolutions (48 Study Score), Studio Arts (47 Study Score) and Accounting (42 Study Score). I am currently preparing to study bachelor of education/visual arts at Monash. I understand the core concepts fluently and I have extensive notes to cover each sections and numerous resources to help you with! Hello I’m Chow and I tutor Physical Education (42) and Primary school Maths and English. I am going to be studying 1st year Physiotherapy at La Trobe in 2018. I would love to help you excel and I look forward to helping you achieve the results you want whilst having fun! Hello, My name is Charan and I tutor Economics (42), English (44) and History (42). I graduated VCE with an ATAR of 97.80 and am currently studying a Bachelor of Arts at the University of Melbourne. I really enjoy working with others and can't wait to meet you and get started! 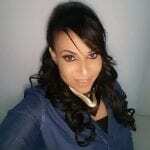 Hi I'm Josephine and I tutor primary school level Maths and English. I am currently in my 1st year studying a Bachelor of Biomedicine at The University of Melbourne. I have had extensive experience with tutoring in the past, and look forward to passing down my knowledge to you! Hello! My name is Arthur and I tutor EAL (50), Chemistry (42), Physics (41), and Biology (38). I graduated at the year 2015 with an ATAR of 96.35. Currently, I'm studying Bachelor of Biomedical Science at Monash University, Clayton. I'm looking forward to tutoring aspiring students, and to make their academic journey both enjoyable and rewarding! My name is Moriah and I tutor English (study score of 45) and Health & Human Development (study score of 43). I'm currently a third year student in my Bachelor of Nursing at Monash University. I began tutoring in 2016 and very much enjoy the challenge of taking on new students and helping them to reach their goals. Hi I'm Ishan, and I tutor Literature. I am currently studying it at University of Melbourne. I hope to instill my passion for the subject in you, and of course, help you achieve your goals. Hello! My name is Kim and I tutor English (43), Psychology (47), Further (42) and Japanese (43). Although I have little experience in tutoring, I am extremely familiar with the new study designs having been through them myself. I look forward to supporting you through VCE. Hi, I'm Alisha and I tutor English (41), Further Maths (40) and Media (40). I have currently completed year 12 and I am about to commence my first year at university. I enjoy helping and teaching others, and I am looking forward to working with you! Hey I'm Anita and I tutor Economics (IB Economics HL: 6). I am currently in my 2nd Year studying a Bachelor of Commerce with a major of economics at University of Melbourne. I have done some IB economics tutoring before and look forward to passing down my knowledge to you! Hey my name is Ainsley, and I tutor VCE Psychology (40), Health and Human Development (41) and Legal Studies (42). I will be commencing my first year of university in 2018, studying a Bachelor of Psychology at Monash University. As someone who loves helping others, I really look forward to tutoring you and bringing a smile to each lesson! Hey I'm Nishadi and I tutor Health and Human Development (50) and Biology (45). I’m currently studying Bachelor of Biomedicine Advanced Honours at Monash University Clayton. I have had a great passion in my subjects and my goal is to spread my knowledge and love for biology to those who are determined to excel in VCE Biology. Hey there, my name’s Michael and I tutor in English (46), Psychology (46) and Italian (44). My main goal is to help you find the elements you love in your subjects and recognise your own personal potential as I really enjoy helping others and want you to achieve the best possible score. Hey, I'm David and I tutor Chemistry(38), Math Methods(38) and Physics(40). I am currently in my 2nd Year studying a Bachelor of Science majoring in Chemistry at Swinburne University of Technology. I have previously tutored as an In2Science mentor where I assist Math and Science high school classes. Hello! I'm Katie and I tutor primary school Math, English and Science as well as VCE Biology (Raw 41). I love to inspire and motivate all my students with funny analogies, learning games and frequent revision! It gives me great joy being able to witness a student achieving gradual academic success through self-confidence! Good Morning and Good Afternoon to you all! 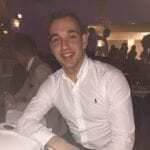 I am Aleksandar Naumoski and I look forward to being a tutor that dedicates himself to help see your goal achieved! I graduated VCE in 2017 with a 92.25 ATAR. Hey , I am Nethni , I tutor Maths for students from grade 1 to 9 . I graduated WACE with an ATAR of 95.90 in 2017 . I am currently waiting for university offers . I am hoping to study Commerce and Engineering . I really enjoy teaching maths and I am looking forward to pass my knowledge to you . Hey! I’m Sheryl and I tutor English as an Additional Language (41) and Philosophy (39). I am currently in my 2nd year studying a Bachelor of Commerce at University of Melbourne. I look forward to passing down my knowledge to you! Hey I'm James and I achieved an ATAR of 99.25 in 2017. I tutor Biology (46), Physics (44) and English (46) - I also offer help in Chemistry (43) and UMAT (95th percentile) for prospective medicine students. I am about to begin my first year of university. I look forward to helping you achieve your best this year! Hey I'm Georgia and I tutor English Language(41), Further Maths (42), Math Methods (39) and Legal Studies (43). I am currently in my 2nd Year studying a Bachelor of Commerce and Bachelor of Science at Monash University. I have a couple years of tutoring experience and look forward to passing down my knowledge to you! Hey, I'm Zoe and I tutor English/Literature, Maths and French. I graduated from the International Baccalaureate Diploma Programme in 2017 with a score of 42 (notional ATAR of 99.40). I look forward to helping you achieve your own study goals! Hi! I'm Alex and I tutor Economics (42), Accounting (43) and Math Methods (42). I will be in my 1st year studying a Bachelor of Commerce at the University of Melbourne. I love helping others succeed and I look forward to helping you achieve the best you can! Hi I'm Navishka and I tutor Visual Communication and Design (41), Maths Methods (34) and Physics (38). I am currently in my 2nd Year studying a Bachelor of Engineering (Honours)/Industrial Design at Monash University. I look forward to working with you! Hey I'm Chaewon and I tutor Specialist Mathematics (raw 40), Mathematical Methods (raw 44) and Further Mathematics (raw 43). I am currently in my 1st year studying Bachelor of Biomedicine at the University of Melbourne. As someone who is very passionate about Mathematics, I will make sure all our lessons are fun but also help you reach your full potential at school. 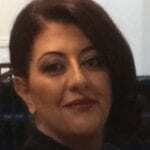 Hey I'm Prathesa and I tutor English, Maths and Chemistry. I am currently in my 2nd Year studying a Bachelor of Science at Monash University. I have a passion for these subjects, and I am excited to teach you all I know. I look forward to meeting you. Hey, I’m Paige and I tutor VCE Drama (43 and Top Class audition) and Business Management (39), as well as primary school literacy and numeracy. I am a first year student at Deakin University studying Arts/Law. I look forward to tutoring you and assisting you to achieve the best possible academic results! Hi! My name is John and I am starting my second year of Undergraduate Biomedicine at The University of Melbourne in the hopes of becoming a Doctor. I will be tutoring English (40), Specialist Mathematics (41), Mathematical Methods (41), Music Performance (40) and Chemistry (37). I have read many books on learning techniques and am a self appointed study artist and mnemotechnist. Hey I'm Sean and I tutor Math (35), Economics (34) and Chemistry(32). I am currently in my 1st Year studying a Bachelor of Engineering at Monash University (I was studying a Bachelor of Business and Banking and Finance at Monash prior to switching). I have a couple years of tutoring experience through private tutoring and volunteering in peer-to-peer support programs when I was high school! Hi, I’m Tia and I tutor English (40) and History Revolutions (38). I graduated from Footscray City College in 2017 achieving an ATAR of 87.65. This year I will be commencing my tertiary studies at Melbourne University completing a Bachelor of Arts. I look forward to an exciting year working with a variety of students. Hey, I’m Josephine, and I tutor English (45), Drama (44) and History Revolutions (41). I graduated VCE with an ATAR of 97.45 and am in my 2nd year studying a Bachelor of Arts at the University of Melbourne. I’m passionate about supporting others and look forward to helping you achieve your goals! Hey I’m Steph, and I tutor Chemistry (40), Legal Studies (47), Maths Methods (41), Specialist Maths and other non-VCE levels of Maths. I graduated in 2016 with an ATAR of 99.10, and I am currently in my second year of a Bachelor of Law (Honours)/Bachelor of Science double degree at Monash University. I look forward to sharing my knowledge and helpful study techniques to assist you in achieving the best scores possible! Hey I’m Shaman and I tutor Further maths (core and mods measurements and matrices), methods unit 1/2 and maths from year 10 and below. I am currently in my 1st Year studying a Bachelor of Computer Science at Swinburne University. I have one year of tutoring experience and I look forward to helping you excel. Hi! My name is Michelle and I tutor VCE Global Politics (39) and VCE English (40), as well as Humanities. I’m currently completing my third year of Bachelor of Global Studies at Monash, majoring in International Relations. I look forward to being part of your academic journey! Hi! I'm Angela and I tutor Biology (37), English (39) and Math Methods (37). I am currently in my First year studying a Bachelor of Commerce at the University of Melbourne. I enjoy hiking, travelling and dancing. Hey I'm Anthony and I tutor Mathematical Methods (40). I am currently in my 1st Year studying a Bachelor of Applied Science/Master of Physiotherapy at La Trobe University. I look forward to helping you achieve your academic goals! Hi! I'm Andrea and I tutor English (38), Business Management (39) and Drama (35). I am currently a first year student at Monash University studying Media Communications. I am extremely excited to work with you and lend a helping hand. Hey I'm Yvonne and I tutor History (45), English (41) and Physics (40). I am currently in my 1st Year studying a Bachelor of Engineering (Honours) and Arts at Monash University. Hello! I’m Laura and I tutor Maths Methods (40). I am currently in my 1st year studying a Bachelor of Commerce at the University of Melbourne. I have had some very rewarding and positive tutoring experience in the past, and I look forward to sharing my knowledge with you. I graduated in 2017, and I’m studying Biomedicine at the University of Melbourne i this year. In Methods, I achieved a raw study score of 41, scaled 46.06. Ever since Year 7, I have achieved top 10% in Maths every single year. Notably, I was one of the highest ranking SAC students in the Methods 3/4 cohort of 113 girls, and one of the top 2 students in my own Methods 3/4 class. I graduated in 2017, and I’m studying Biomedicine at the University of Melbourne i this year. In Methods, I achieved a raw study score of 41, scaled 46.06. Ever since Year 7, I have achieved top 10% in Maths every single year. Notably, I was one of the highest ranking SAC students in the Methods 3/4 cohort of 113 girls, and one of the top 2 students in my own Methods 3/4 class. And I look forward to helping you! Hi I'm Megha and I tutor Maths and English up to year 10 level as well as 1/2 Methods and Physics, which I am studying in university, and I also tutor French (raw 31), which I am studying at university. I am currently in my 1st year at Monash University studying a Bachelor of Science/Bachelor of Global Studies, and I look forward to helping you! Hi! I'm Clare and I tutor Chemistry(34) and Further Maths(38). I am currently in my 1st year of studying a Bachelor of Science at Monash University, majoring in Chemistry. I am very passionate about teaching others and am looking forward to helping you achieve your goals! Hi my name is Hareesh. I tutor in Legal Studies (41), English Language (37) and Business Management (39). I graduated VCE in 2013. I’m currently in my 5th of a Bachelor of Laws (honours)/ Bachelor of Arts degree at Monash University. I have years of leadership, academic and work experience which makes me an excellent tutor for those completing their VCE journey. Hey, I'm Kim and I tutor Economics (6/7) and Mathematical Methods (7/7). I am currently in my 3rd Year studying a Bachelor of Commerce (Economics Major) at the University of Melbourne. I look forward to sharing my knowledge with you! Hey I'm Jessica Zhong and I tutor Japanese Second Language (47), Maths Methods (44), Chemistry (42) and Chinese Second Language (43). I'm currently in my first year at The University Of Melbourne studying a Bachelor of Commerce. I'm super friendly and easy to talk to, and would love to tutor you! Hi, my name is Nicky and I am looking forward to being your English and History Revolutions tutor! I am in my 3rd year at Deakin University studying a Bachelors of Arts/Laws. In my spare time, I love to go to the beach and read. Hope I can inspire you to be passionate about writing! Hi I'm Amanda and I tutor Biology (45), Further Mathematics (43), Literature (39) and Classical Studies (40). I graduated from Camberwell High School in 2017 with an ATAR of 96.05 and am currently in my first year studying a Science/Arts Double Degree at Monash University. I look forward to working with you! Hi, my name is Kasey. I graduated from VCE in 2015. I tutor Studio Arts (40.5), Legal (40) and Media (40). I am going on to further my French Language studies this year. I would love to help you with your studies and I hope we can work together! Hello, I'm Zicong and I tutor Year 11 & 12Specialist Mathematics(47.02), Year 11 & 12Mathematical Methods(44.98), Year 11 & 12 Further Mathematics(41.00) and Year 11 & 12 Chemistry(40.17). I am currently in my 2nd Year studying a Bachelor of Biomedical Science at Monash University. I have a couple years of tutoring experience and look forward to passing down my knowledge to you. Hey I'm Vivienne and I tutor English Language, English, Further Maths and Studio Arts. I am currently in my second year studying a Bachelor of Arts degree at the University of Melbourne. I have a passion for helping others and look forward to working with you! Hey! I'm Chelsea and I tutor English (43) and Psychology (44). I graduated VCE with an ATAR of 92.00. I am currently in my 2nd year at Monash University where I am studying a Bachelor of Psychology (Honours). I am passionate about learning, working hard to achieve my best and helping others do the same! Hey I'm Liv and I tutor English (43), Drama (45), Theatre Studies (43) and Visual Communication Design (38- A+ in all written assessments). I am currently in my 1st year of university, studying a Bachelor of Fine Arts (Production) at the Victorian College of the Arts (University of Melbourne). I love helping others achieve their goals and I can't wait to work with you! Hey I’m Holly and I tutor Primary English (39), Primary Maths (36), and Theatre Studies (41). I graduated VCE in 2016 with an ATAR of 89.65. I am currently in my 2nd year studying a Bachelor of Arts and a Bachelor of Primary Education) at Monash University. I look forward to working with you! Hi! My name's Uswa and I'm in my 1st year of studying a Bachelor of Fine Arts at RMIT. I tutor Art (94), Latin (93, 44 Ext), French (93, 43 Ext) and English (86, 44 Ext), and I got an ATAR of 97.2. I completed Year 12 in NSW but I can totally pass on my knowledge to VCE students! I'm excited to meet you and help you on your learning journey. Hey I'm Adithi. I recently graduated from Nossal High School and currently studying a Bachelor of Biomedicine at Monash University (1st Year). I have had tutoring experience and would love help students reach their academic goals and aspirations at LGT. Hi, I'm Felicity, I tutor English (44) and Ancient History (40). I graduated from VCE with an ATAR of 95.90, and I'm currently studying a Bachelor of Arts at University of Melbourne. I have a passion for both these subjects and hope to share my knowledge with you! Hi I’m Brendan and I tutor Mathematical Methods (48), Specialist Mathematics (46), Chemistry (47), and English (40). I graduated VCE in 2012 with an ATAR of 99.65 and I am currently in my final year of studying a Bachelor of Engineering and Bachelor of Biomedical Science at Monash University. I look forward to helping you achieve your academic goals. Hi, I’m Isobel and I tutor English (38), Media (45), History Revolutions (39) and Literature (36). I am currently in my 2nd Year studying a Bachelor of Arts at the University of Melbourne. I love helping others learn new things, so I am really excited to work with you! Hey I’m Jasmine and I graduated in Western Australia with an ATAR of 98.75 and a subject exhibition in EALD. I tutor EAL (50), Italian (43) and Maths Methods (40). 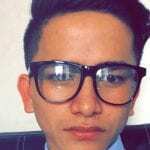 I am currently in my 1st Year studying a Bachelor of Engineering and Computer Science at Monash University. Hey my name is Victoria Deng, and I'm tutoring Maths Methods (43) and English (43). I graduated with an ATAR of 98.85, and am currently in my first year of a Bachelor of Science at Melbourne University. I'm very excited to teach, and hope that I can help you achieve your intended goals. Hi there! I'm Steven, and I'm currently in my first year of my Bachelor of Biomedicine degree at the University of Melbourne. I tutor Mathematical Methods (Raw 42) and Biology (Raw 41), and graduated VCE with an ATAR of 97.45. Looking forward to working with you! Hey I’m Sihan and I tutor Mathematical Methods (42) and Specialist Mathematics (33). I graduated VCE with an ATAR of 97.20 and I am currently in my 1st year studying a Bachelor of Biomedicine at University of Melbourne. I look forward to working with you. Hey, I’m Edmond and I tutor Mathematics and Physics. I graduated QCE with an ATAR of 99.90 and I am in my 1st year studying a Bachelor of Science at The University of Melbourne. I find mathematics and physics very interesting and am looking forward to sharing what I know. "Hey I'm Harkirat and I tutor Physics (45), Chemistry (44.5), Biology (41.68), Further Maths (42) and Methods (42.49). I am currently in my first year studying Bachelor of Engineering and Bachelor of Biomedical Sciences at Monash University]. I enjoy helping people and have given help and academic support to many students. Hey! I’m Connor and I tutor Biology (38), English (39), and Global Politics (33). I’m currently in my 1st year studying a bachelor of Science and Global Studies at Monash University. I have achieved a WAM of 78, having studied International Relations (85), Leadership for Social Change (83), and Biology I (81). I’m tutoring because I was only able to get into my dream course with the help of tuition. Now I want to help others achieve the scores they need to get into their dream course! Hi my name is Samantha and I tutor Literature (49) and English (43), which helped me graduate with an ATAR of 96.05. I am currently in my 1st year studying a Bachelor of Arts at Swinburne University. I have experience tutoring at Lakeview Senior College and am excited to help students improve and feel confident in their English skills. Hey I'm Ashwini, and I tutor English (38), Psychology (39) and non-VCE level maths . I am currently in my 3rd Year of Science at Monash University. I look forward to helping you and making sure you get the most out of tutoring and your academic endeavours! Hey there! I'm Anastasia and I tutor VCE Further Mathematics (47) and VCE English (39), as well as lower High School and Primary School level Maths, English and Science. I graduated VCE in 2016 with an ATAR of 97.55 and have been tutoring for the past 2 years; meanwhile, I am studying Fine Arts at RMIT. I look forward to working with you and helping you succeed! Hey, my name is Toneyha, and I tutor Maths Methods (46), Physics (45), Specialist Maths (51) and Music Performance (46). I completed VCE at Caulfield Grammar School in 2018, and begin my first year of a double degree of Engineering and Biomedicine at Monash University in 2019. Outside of studying, I’m a musician with a love of performance. I greatly enjoy being able to help students understand and be confident in their work. Hopefully I can be of help to you! Hi I’m Alex and I tutor Math, Science and English for all primary and secondary levels, as well as VCE Methods (41) and Biology (41), I graduated with an ATAR of 93.35. I am currently in my 1st year studying a Bachelor of Biomedical Science at Monash University. I have 4 years of tutoring experience with students of a variety of different ages and skill levels, you’ll find me very down-to-earth and approachable! Hey I'm Kajal and I tutor Chemistry (42), English Language (42), Biology (40). I am currently in my 1st Year studying a Bachelor of Biomedical Science at Monash University. I really enjoy helping others and I look forward to working with you! Hi! I’m Eva and I provide tutoring for VCE Chemistry (43) and Biology (40). I graduated VCE with an ATAR of 95.40 and am currently in my First Year of a Science/Music Double Degree at Monash University. I look forward to helping you achieve your academic goals! Hey I'm Emily and I tutor Economics. I am currently in my 3rd Year studying a Bachelor of Commerce at The University of Melbourne majoring in economics and finance. I did my Year 12 in Western Australia and got an ATAR of 99.65. I did exceptionally well in economics and received a subject certificate of excellence. This is my first time tutoring but I am confident that I will pass on my economics knowledge to you! Hi, I'm Molly and I tutor Literature (41), Classical Studies (39), and Philosophy (38). I am currently completing a Bachelor of Arts (double major in Australian Indigenous Studies, and History and Philosophy of Science) at the University of Melbourne. I love meeting new people and am really excited to work towards your goals with you! Hi, I'm Kate and I tutor English (44) and Ancient History (48). I graduated with my HSC in NSW with a score of 96.00 and I'm currently studying a Bachelor of Arts At the University of Melbourne. I'm really passionate about all things literature and history and I hope to share those passions with you, helping you along the way! Hey, I'm James and I tutor Methods (39) and Geography (41). I am currently in my 1st Year studying a Bachelor of Science at Melbourne University. I have one year of tutoring experience and look forward to passing down my knowledge to you! Hey, I'm Matt and I'd love to tutor for Mathematical methods (39), Specialist maths (36), Physics (38), English (36) and I want to help you achieve your fullest potential. My name is Emily, and I tutor Maths (96/100) and Chemistry (89/100). I graduated HSC with a 97.65 ATAR in 2018, and am currently in the first year of a Bachelor of Science course at the University of Melbourne. Hey I'm Michael and I would love to tutor for Maths Methods (45), Specialist Maths (39), Physics (41), English (38) and help you achieve your fullest potential and get the scores and knowledge you are looking for. Hey I’m Diana and I tutor business management (41), psychology (40), English Language (37) and Russian (32). I graduated VCE with a 90.6 ATAR and am currently in my first year studying Bachelor of Business (prof) at Swinburne University. I loved my schooling years and hope that I can help you so that you enjoy it as well! Hey I'm Jo and I tutor English and Maths. I received an ATAR of 97.75 and I am currently in my 1st year studying the Juris Doctor at the University of Melbourne. I have a couple years of tutoring experience and look forward to helping you achieve your academic goals! Hi, I'm Anh and I tutor Maths (80/100), ITs or Algorithms (80/100). I graduated high school in the ACT with an ATAR of 93.65 and am currently in my first year doing a Bachelor of Science majoring in Computing at The University of Melbourne. I haven't had any experiences in tutoring, but I love sharing my knowledge. Speaking at two of the biggest IT conferences as well as at some local meetups proves the fact that I have a passion for sharing what I know. I want everyone to feel as passionate about IT as I do, and enable them with all the tools they need in order to be successful. Hey I'm Yi and I tutor English(40ss), Mathematical Methods CAS(39ss) and Specialist Mathematics(34ss). I am currently in my 1st year studying a Bachelor of Commerce at The University of Melbourne. I enjoy teaching others and I will look forward to meeting you! Hey, I'm Nathan and I tutor Physics, Chemistry, English, Methods, Further and Specialist Mathematics. I completed WACE in 2016 with an ATAR of 97.4, which is the West Australian equivalent to VCE. I am currently in my 3rd year studying a Bachelor of Science at the University of Melbourne majoring in Electrical Engineering. I have had previous experience tutoring, and hope to pass that knowledge onto you! Hey, I'm Tom and I tutor English Language (45/50), Literature, History (Australian (46/50) and Revolutions (46/50)), and Philosophy. I am currently in my first year studying a Bachelor of Science (Neuroscience) at the University of Melbourne, and look forward to meeting you, and passing down some of my knowledge to you! Hi I'm Jonathan and I'm happy to tutor for Chemistry (40), Biology (40), Maths Methods (37), Psychology (46), English (38) and I look forward to helping you with anything at all that you may need and achieve your academic goals. Hey I'm Annie and I tutor Global Politics (48 and Business Management (45). At the moment I'm in my Bachelor of Commerce at Melbourne University- 1st year. Here's to education and pursuing your dreams! Hi! I'm Nicholas and I tutor Physics (HA), Economics (EA), and English Literature (HA) for secondary students. I completed my secondary studies in Tasmania, so my subject scores aren’t properly comparable to VCE scores. I also tutor ELEN20005 - Foundations of Electrical Networks (85%) and ENGR20004 - Engineering Mechanics (83%) for tertiary students. I completed equivalent classes at the University of Tasmania. I am currently in my 2nd Year studying a Bachelor of Science at the University of Melbourne. I’m new to the tutoring business and look forward to picking up some new skills and meeting some interesting people. Hey I'm Nick and I would love to tutor you for Biology - 42, Economics - 41, Further maths - 46, Chemistry - 40, English (39) and help you further your education and help you in any way I can! Hey, I'm Patrick and I tutor Biology, Extended Investigation and General Science (yr 7-10). I am currently in my first year of a Bachelor of Science at Melbourne University and am looking to major in biotechnology. I am extremely passionate about tutoring and the outcomes of my students. I am hoping I can share my passion for science with you! Hi there! I’m Maddy and I tutor Philosophy (raw 40), French (raw 38) and English (raw 38 in literature). I am currently in my first year of a Bachelor of Arts at Melbourne University. I’ve continued my journey in Philosophy and French at university, and I look forward to sharing my passion for these subjects with you! Hey I'm Sam and my primary subjects for tutoring will be English, Biology, Chemistry, Maths, Literature (I undertook IB not VCE, so raw scores not available, but roughly 45 for each) and I'm looking forward to helping you out! Hey I'm Thi and I specialise in tutoring mathematics! I received a 99 in Math 1 and 100 in Math 2 but if you need help with accounting I'm more than happy to assist with that too. Hey I'm Marcel Masque and I tutor Mathematics Methods(44), Mathematics Specialist(43), Physics(46) and Chemistry(42) I am currently in my first year studying a Bachelor of Computer Science at Monash University. Hi, I'm Lucile and i tutor French (45), biology (38) and methods (36 + engineering maths units at uni). I graduated VCE with an ATAR of 96.30 and am in my second year of a double degree in engineering and biomedical sciences at Monash University. I look forward to working with you :). Hi! My name is Anke and I tutor Biology (46) and Physics (44). I graduated with an ATAR of 98.95 and now I am in my 1st year of the Bachelor of Science at the University of Melbourne with plans to study a Masters of Engineering. I look forward to helping you achieve your academic goals! Hey I'm Arabella and I tutor English, History, Art and Drama. I am currently in my third year studying a Bachelor of Arts majoring in History & Art History. I have a few years of tutoring and am excited to help you achieve your goals! Hey I'm Shannon and I tutor Mathematics (year 7-11). Mathematics methods (26) and Mathematics specialised (24). At the moment I'm in my 3rd Year Bachelor of Environments at Melbourne University. I look forward to helping you! Hey, I'm Jess and I tutor biology (41), psychology (43) and English (39). I can also tutor junior science (30 in chemistry) and junior maths (30 in maths methods). I am currently in my first year of a Bachelor of Biomedicine at the University of Melbourne. I enjoy teaching and empowering others and I look forward to working with you! Hey I'm Edward and I'd love to help you with maths and help you achieve your goals. Hi, I am Jane. I tutor math, science, design and EAL. I am current first year science student at Melbourne University. I have experience interacting with young leaners before and am very happy to be your friend/ tutor!! Hey I'm Harry and I'd love to help you achieve your goals! I tutor mainly maths of any type and also physics. My Atar was 93.6. Hey I'm Bevan and I'd love to tutor you for either of Primary / Secondary School Maths, Science and English, Math Methods (35). History Revolutions (49). Physical Education (48). Philosophy (49). Chemistry (43). Literature (44). I will be going on to do my Bachelor Law/Commerce at Monash University. I look forward to helping you out! Heyo I'm Daniel and I tutor Accounting (42), Economics (39) and I finished year 12 with an Atar of 95.45. I look forward to helping you with anything you need! Hey I'm Cathrine and I'd love to help you out with Mathematical Methods (46), Primary to Yr 10 English as well. I received an Atar of 98.55 and at the moment I'm in my 1st Year Bachelor of Commerce at University of Melbourne. Look forward to tutoring for you! Hey I'm Hashem and I tutor Math Applications (WACE) (85) and Math Methods (77) but Primary to Year 10 Math and English. I received an Atar of 97.00 in 2017 . I look forward to working with you! Hey I'm Isha and I tutor Psychology (91%) and English (92%). I completed highschool in the ACT with an ATAR of 99.2. I just completed a Bachelors degree in Anthropology and Indigenous studies at the ANU last year, and have just moved down to Melbourne to study Theatre at the Victorian College of the Arts! I continued my study of Psychology in university and am very passionate about the social sciences and the study of human behaviour. I absolutely enjoy working with young people to develop their written work and understanding of literature, as well as developing the critical thinking skills that will get them through highschool and beyond! Hi there! My name is Adam and I am in my first year of a Bachelor of Science degree at The University of Melbourne, primarily in Mathematics and Physics. I am available for tutoring Mathematical Methods and Specialist Mathematics (both scaled 46), Chemistry and Physics (both raw 37). I'm really passionate about passing on my love of maths and science to others, and I love to see students create, pursue and then smash their goals. I have lots of experience in leadership and personal development and can't wait to see you obtain the best results you can possibly imagine. Hey I'm Nicolas and I tutor English - 41, Mathematical Methods - 38, Physics - 37, Chemistry - 37, Psychology - 38, Specialist Maths - 34. I finished year 12 in 2017 and I received an atar of 96.5. I look forward to helping you out with anything you need! Hi I'm Naisha and I'd love to tutor for the following subjects: English (43) and Literature (44) also willing to do lower level math, Legal Studies (39). I graduated year 12 in 2018 with an Atar of 94.95. I look forward to helping you achieve your goals and ambitions! Hi guys! I'm Iliana and I tutor History Revolutions (43) and English (42) but I'm also happy to do lower level math. I am in my 1st Year Bachelor of Professional Communication at RMIT and I graduated with a study score of 95.15 in 2018. I look forward to working with you! 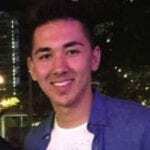 Hey I'm Nicholas and I finished year 12 in 2018 and I received an atar of 95.90. My speciality is Computing: Informatics (50), Mathematical Methods (36), Physics (37) and Chemistry (34). I am currently studying Computer Science at Monash University. Hi I'm Aarjoo and I am in my final year as a student for Information systems at The Holmes institute. I primarily tutor English and History but I can also tutor for pre-Year 11 Mathematics. Look forward to helping you out! Hi I'm Amanda and I tutor Chinese first language (44), EAL (42), Chinese second language 4 and Year 7 to Year 10 math. I look forward to assisting you with anything you need! Hey I'm Kevin and I tutor Math methods for which I received a study score of 42. I graduated in 2018 with an atar of 95.75 and i am currently in my 1st Year of Science at Monash University! I look forward to meetin and helping you with those tricky equations! Hey I'm Sam and I tutor Biology (42 SS) and Philosophy (45 SS). I graduated in 2016 and I got an atar of 94.05, I'm in my 1st Year Bachelor of Science/Arts at Monash and I look forward to helping you out! Heya I'm Richard and I tutor Physics (42), Chemistry (38), Specialist 3&4 (33), Methods (35) and lower level English (37). I graduated in 2018 with an atar of 95.55 and I am currently in Uni doing my Bachelor of Engineering/science at Monash University. I look forward to working with you! Hey I'm Anika and I tutor the following subjects at an IB level: Spanish (IB-7), History (IB-6), Maths Studies (IB-6), Psychology (6), TOK (B), EE (B). I finished year 12 in 2018 and I graduated with an Atar of 96.7. I look forward to meeting you and helping you achieve your dreams and ambitions! Hi I'm Sheryl and I'd love to tutor you for Biology (39), Chemistry (41) and Maths Methods (39). I graduated in 2018 with an Atar of 98.45 and I am currently in my 1st Year Bachelor of Nutrition Science at Monash University. Looking forward to helping you achieve your goals! Hey I'm Dinuli and I tutor English (40), Biology and Year 10 and below math and science.I graduated in 2012 with an ATAR of 92.05 and I am currently in my 1st year, Doctor of Philosophy in Public Health at Monash University. I look forward to helping you with anything you need! Hi I'm Darla and I tutor VCE Physics (40) Year 7-10 Mathematics and lower level English! I graduated in 2018 with an Atar of 93.25 and I am currently in my 1st Year Bachelor of Science at The University of Melbourne. I looking forward to helping you with anything you need! Hey I'm Mia and I tutor English (43 raw), Psychology (42 raw) and Science (below Yr 10). I completed Year 12 in 2017 and I received an Atar of 94.8 and I'm in my 2nd Year Bachelor of Arts at Melbourne University. I greatly look forward to helping you out! Designed to weed out the best primary and high school tutors in Melbourne we can find. 2. Application is approved if a tutor meets our strict criteria. 3. Tutor must then complete training & pass tests at a satisfactory level. 4. Tutors must then sign contracts, upload personal details and provide proof of scores (copies of their official VCE documentation). 5. 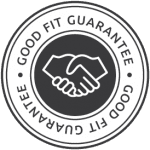 Their account is then reviewed by Joe Charbine, LGT’s General Manager. 6. Selected Melbourne tutors are approved, contacted and are welcomed into the team. 7. New tutors are subject to regular reviewing in the beginning, to ensure that students are enjoying their lessons. 8. Under-performing tutors are identified & not passed further students. Unfortunately, the tutoring marketplace in Melbourne is still filled with tutors who conduct classes without carrying valid working with children checks. Concerning enough, this also includes primary school tutors. By law, it is required for any individual working with minors to have a valid check. For this reason, all Melbourne tutors with LGT Tutoring are required to either carry a valid check or apply & be approved before their first lesson. Please click herefor more information on the working with children check.